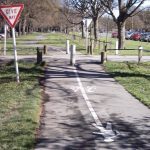 With the new Major Cycleways coming to Christchurch, a major trade-off in many locations will be the removal of on-street car-parking (either on one side or both) to provide enough space for separated bikeways. 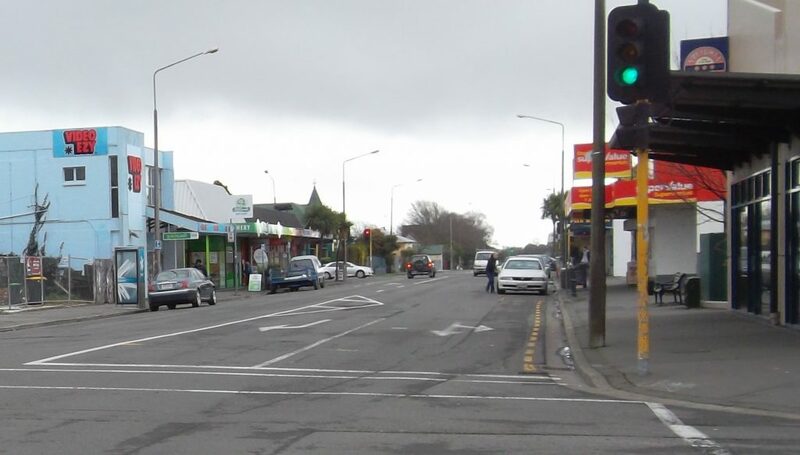 Already we are seeing some concerns being raised in both the Rapanui – Shag Rock and Papanui Parallel cycleway proposals about loss of parking. Let’s be quite clear upfront. Nobody has an absolute right to any carparks on the street, whether they’re in front of your place or not. The Council’s District Plan (see Vol.3 Part 13) is very specific that any land use (whether it’s a home, business, or whatever) is expected to provide a certain number of parking spaces off-street (including often a number of bike parks). Generally it is only those pre-existing historical land uses that might avoid this or some businesses in certain shopping areas that pay cash-in-lieu to help fund public parking facilities instead. In the case of suburban residential areas, there is usually little to complain about. The physical evidence is typically quite clear: most houses have a garage/carport and a driveway that can generally hold at least another 2-3 cars. Most cycleway proposals are also usually retaining parking on at least one side of the street and casual observation of on-street parking demand in most neighbourhoods shows little consistent presence of “wall to wall” parking that would require more than that. Businesses however may object more strenuously because, often, passing trade is considered a large part of their livelihood. Therefore they will perceive that removal of adjacent carparks will reduce their business. So how justified are those concerns? Will these shops die if we remove some on-street parking? CityLab did a very nice summary of a number of pieces of international research that looked into the effects of converting parking space to bikeways. The dozen studies reported on were very consistent: replacing on-street parking with a bike lane has little to no impact on local business, and in some cases might even increase business. Another summary of research from People for Bikes also found very similar positive effects from various new bikeways. In New York for example, the installation of separated bikeways on 9th Avenue saw a 49% increase in retail revenues post-construction. Some, like NE 65th St in Seattle, have found even greater boosts to sales after replacing parking with a bikeway. Some arguments are that either (a) people who don’t drive are usually less wealthy and thus spend less, or (b) people who don’t drive can’t carry as much and therefore don’t spend as much. That view was captured a few years ago when local property tycoon Antony Gough, in decrying car-parking restrictions in the city, said “I’ve never seen anyone carry home a fridge on a bicycle yet” (the thing is, most people don’t take fridges home in their cars either; isn’t that what delivery trucks are for?). Again, research has identified the flaw in this argument. While a number of studies found that cyclists (or other non-driving customers) tend to spend less per shopping trip than drivers on average, they also tend to make more trips, thus cancelling that out. 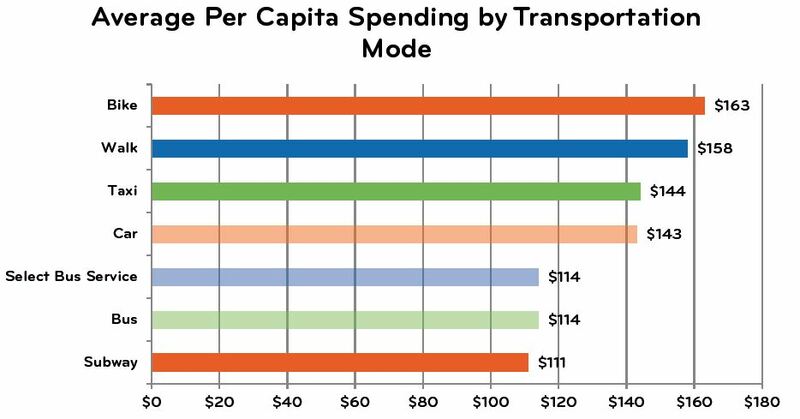 If you think about it, with less expenditure needed to maintain running their car everywhere, people who bike regularly have more spare money left to spend on other goods and services. With less incentive to hop in a car and drive across town, non-driving patrons also tend to be better at supporting local neighbourhood businesses, thus keeping more money local. Another common misconception is that most of a business’ customers are arriving by car. However, unless you’re a petrol station, that has also typically been found to be false (especially in the central city), with other modes outnumbering those driving. “Oh, but that’s international research; that’s not applicable to New Zealand.” Actually the studies cited above included one from NZ that looked at the effects of reallocating road space from parking to other uses in Auckland, Wellington and Christchurch. As with other studies, the slightly lower average spend by those on bikes was counteracted by the more frequent visits, and thus they contributed a higher economic spend proportionately to their modal share. Another recent local study investigated demand for parking vs cycleways in a Wellington retail area (Tory St). The survey of ~600 people found that about 60% of non-cyclists supported sacrificing on-street car parks for a cycle route, citing concerns for cyclist safety and the stress of sharing roads with them. A separate survey of shoppers on-site found that only 6% had used on-street parking in front of the relevant businesses. 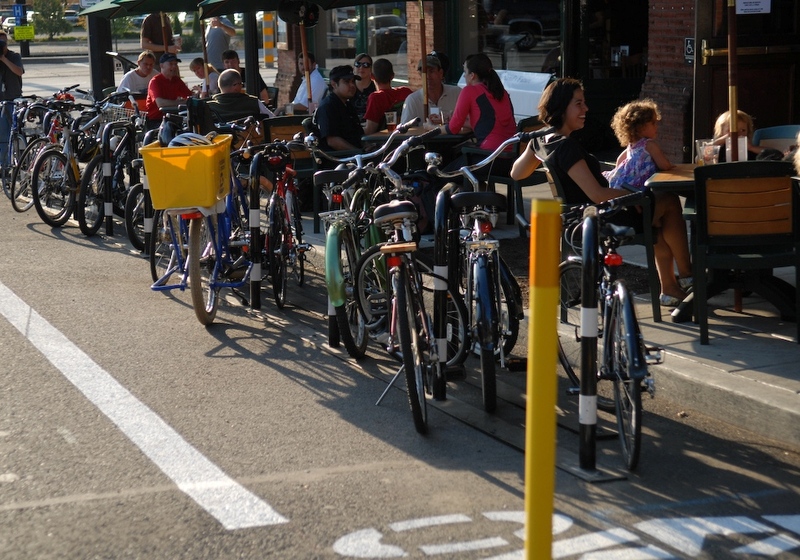 If a business is concerned about a loss in customer numbers they could look at converting one or two carpark spaces into a “bike corral” (effectively a series of bike stands on-street); typically you can fit at least ten bikes into the same space as one car. So you can see how it could be very easy to grow your patronage if there is a nice convenient cycleway past your place and good parking at your door… In Portland, Oregon, over 130 bike corrals have been installed around the city (holding ~2000 bikes) – and there is still a waiting list for businesses wanting to get them installed. This handy video explains how they work over there; it would be great to see some scattered around Christchurch too. So there’s some useful evidence for you to keep at your fingertips. While it’s important to appreciate the role of car parking for businesses (and some businesses will be more sensitive to this than others), and to accommodate the needs where possible, it’s also important not to overstate the role of adjacent on-street parking to businesses. Hop on their bike and try out the new cycleway to your business! Do you think that cycleways are bad for business? Brilliant article, I would love to see this published in the Press. Love the bike corral! I third the notion that you should try and get this published. I’d love to see this in The Press, 99% of people perceive the problem with on-street parking to be that there is not enough! What a fresh perspective, fantastic. Many of the objections businesses around the world have to the installation of cycle lanes at the expense of on-street parking are hard to justify given the financial benefit cycle lanes bring to an area. Cars go from A to B. Bikes go from A to B via C, D, E, F, and G.
Good stuff Glen!! There are so many misunderstandings around this that it is probably the next big thing after dealing quite effectively with the “cyclist do not pay bla bla bla”. Thanks for this info – please can you provide the link to the NZTA study on shopping trips by mode? The one in the article doesn’t link through. Hi Phil, I’ve checked the links and they seem to work fine to me (should link to http://www.nzta.govt.nz/resources/research/reports/530/) – perhaps try again?